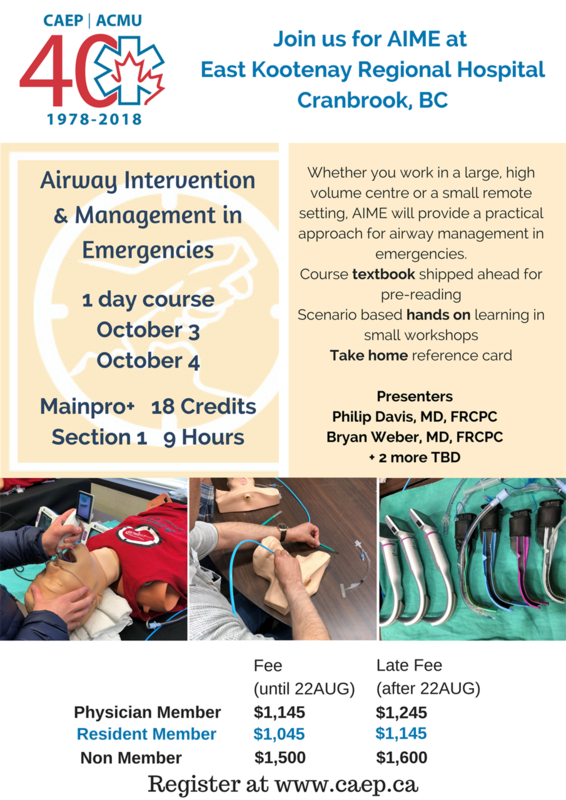 The Airway Interventions and Management in Emergencies (AIME) course has been providing valued and practical hands-on airway management learning experiences for clinicians around the world for over 16 years. AIME educators are experienced (and entertaining) clinical instructors who understand the varied work environments of practicing clinicians. Whether you work in a large, high volume centre or a small remote setting, AIME will provide a practical approach for airway management in emergencies.